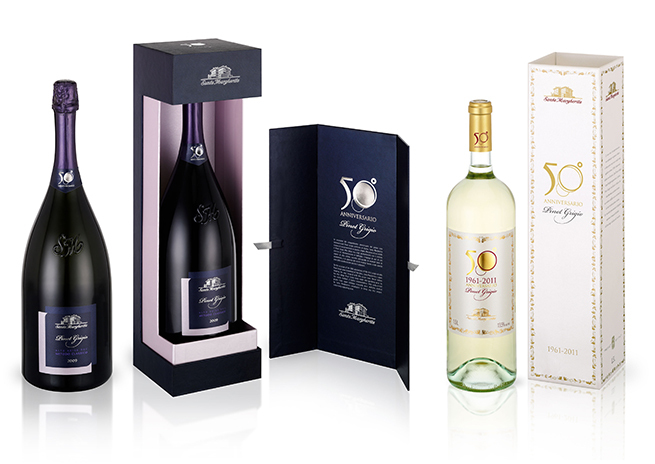 Santa Margherita wines have been produced in Italy since 1930. Still owned by the Marzotto family, the Santa Margherita group of companies has added new wines to its portfolio by acquiring small independent wine producers over the years. The mainstay of its range continues to be Pinot Grigio and Santa Margherita is one of the largest exporters of this outstandingly popular varietal to the United States, where it is a leading brand. In 2011 Santa Margherita celebrated 50 years of producing this great white wine that’s vinified from pink grapes after discarding the skins. 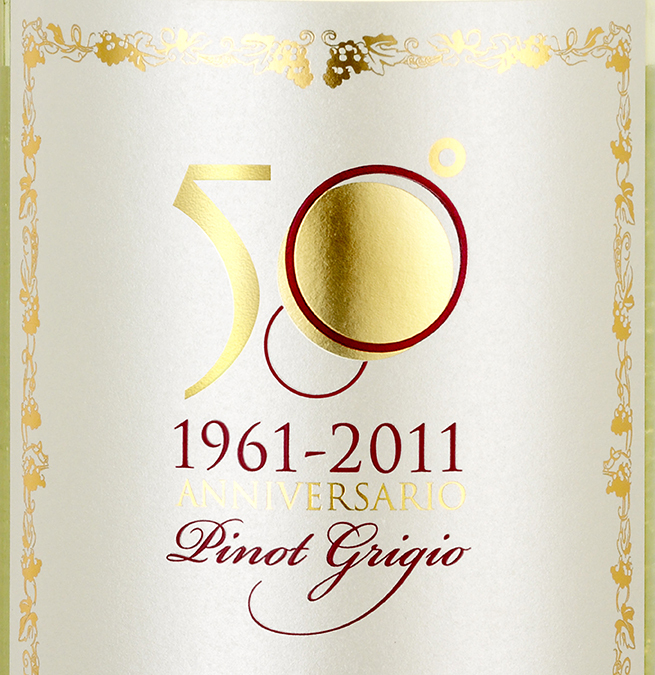 Back in 1961, they were the first wine maker ever to produce Pinot Grigio. Since then the white wine has become one of the best loved of all Italian varietals, with many of Italy’s wine producers following Santa Margherita’s lead. Of course, producing the first Pinot Grigio means that the Santa Margherita brand has achieved legendary status, particularly in Italy’s home market and the United States. 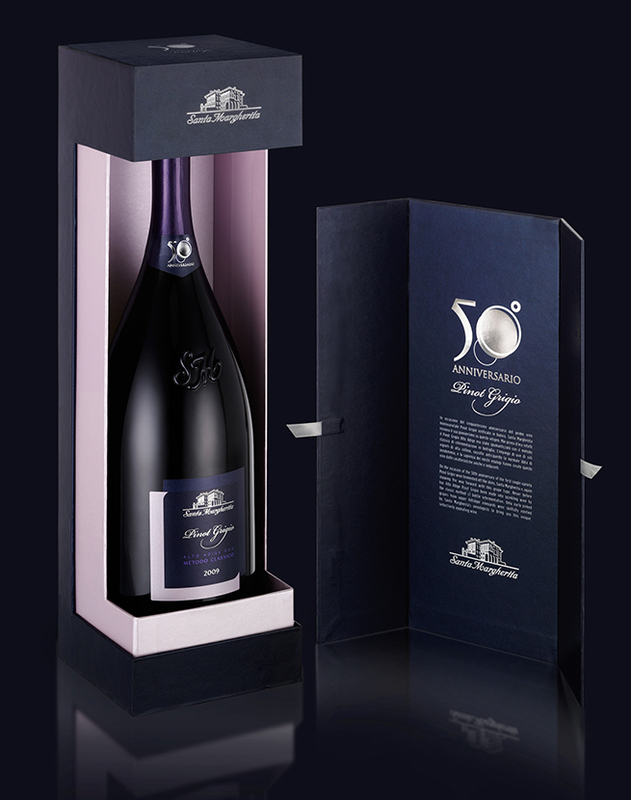 For its 50th anniversary Santa Margherita made the most of the opportunity to reinforce its brand’s premium market position by introducing a limited edition of the wine, including a sparkling Pinot Grigio. 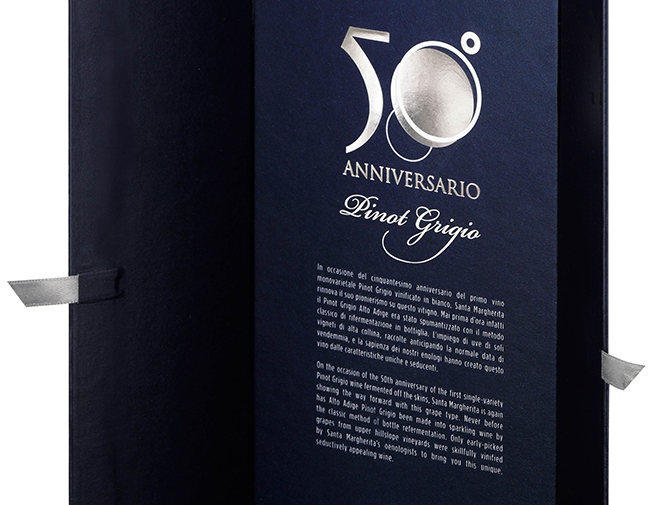 We worked with Santa Margherita to design souvenir labels and gift boxes, a promotional wine cooler and exhibition graphics to mark this important occasion.